It’s been a while since I wrote about credit cards, but I thought now would be a good time to talk about them because of a recent rule change that Chase made that’ll likely change up your travel hacking strategy. For sure, it’ll change up the Chase 5/24 Strategy that I laid out in a previous post (read that post for what I think is the optimal strategy for new travel hackers). As reported on Doctor of Credit, Chase recently made a change that essentially limits you to earning the bonus on either the Chase Sapphire Preferred or the Chase Sapphire Reserve unless you do a little bit of extra work. For our purposes, only two cards really matter – the Chase Sapphire Preferred and the Chase Sapphire Reserve. The regular old Chase Sapphire card doesn’t really exist anymore. As of right now, you can only have one Chase Sapphire branded card per person unless you apply for both cards at the same time. If you already have multiple Chase Sapphire Cards (like I do), nothing will happen. They won’t close your accounts or anything like that. You can upgrade or downgrade your Chase Sapphire branded card if you want, but you’re not going to get a bonus if you do that. If you close a Chase Sapphire card, you have to wait 24 months to get the bonus again. Breaking it down, essentially what has happened is that Chase is basically treating the Sapphire card as one, single card. Before this rule, people like us would open up the Chase Sapphire Preferred, snag the signup bonus, and then go ahead and open up the Chase Sapphire Reserve and snag the signup bonus for that card. Indeed, that’s exactly what I did this year when I started travel hacking – I opened up the Chase Sapphire Preferred, snagged my 50,000 bonus points, then opened up the Chase Sapphire Reserve a few months later and snagged another 50,000 point bonus for that card. With the new rule, the only way to earn the signup bonus on both cards is if you double dip them – i.e. apply for both cards at the same time and get approved for both cards at once. The pro-move is to double dip the Chase Sapphire Preferred and the Chase Sapphire Reserve. That way, you can earn the bonus on both cards. If you want to double dip the Sapphire cards, you’ll need to make sure that you can figure out a way to spend $8,000 within three months (both cards require $4,000 of spend in the first three months in order to earn the bonus). There are a lot of ways to meet minimum spend, all of which go beyond this post. The easiest way is just to make sure you do this when you have a big bill coming up (people planning a wedding or paying taxes are in a good position to hit some big spends). Assuming you know how you’re going to hit the minimum spend, the next thing you’ll do is apply for the cards. First, pick the card that you want more. That should be the one you apply for first, just in case you can’t get the second card. You should apply for the first card in a normal browser tab. For the second card, open up an incognito browser and apply for the card in that browser. If all goes smoothly, you should get immediately approved for both cards. From there, if you hit the minimum spend on both cards, you’ll earn your signup bonus on both of them. Which Chase Sapphire Card Should You Pick? For some people, applying for both cards at the same time might be problematic. You might not have a way to hit the spend. Or maybe it’s just too much work for you. If you’re new to travel hacking, you might not want to go all in and have to hit minimum spends on two cards right off the gate. If you’re in that position, then you’ll need to pick one Sapphire card. 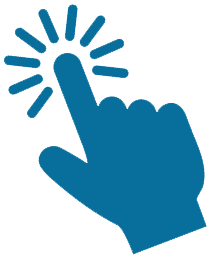 Chase Sapphire Preferred – $95 annual fee that’s waived in the first year, points are worth 1.25 cents per point through the Chase travel portal. Chase Sapphire Reserve – $450 annual fee (not waived in the first year), $300 travel credit per statement year, points are worth 1.5 cents per point through the Chase travel portal, access to Priority Pass lounges and $100 towards global entry credit. Which card you pick will really depend on the value you get from the cards. The Chase Sapphire Preferred is a great pick and the one I recommend for anyone who’s a beginner or scared of diving into the travel hacking space. The big thing with the Sapphire Preferred is that the $95 annual fee is waived in the first year. That means it’s essentially a free card. If you wanted to, you could sign up for the Preferred, get your signup bonus, use your points, then downgrade the card to a Chase Freedom or Freedom Unlimited after the first year (if you downgrade, do so after 12 months – don’t do it right away). You basically get the bonus points without having to pay anything. It’s perfect for anyone who’s just wanting to dip their toes into the world of travel hacking since there’s pretty much no downside risk. On the other hand, the Chase Sapphire Reserve has a unique thing where you can double dip the $300 travel credit, basically getting $600 worth of travel credits while paying just one $450 annual fee. Essentially, if you do this, Chase is paying you $150 to have the card for the first year. It takes a little bit of work to pull this off though. You’ll need to wait until you’re in year 2 of your card, then immediately use up your $300 travel credit in year 2. You’ll then need to downgrade your card within 30 to 60 days and ask Chase to refund your annual fee (Chase’s current policy is to refund your annual fee if you get rid of the card within 60 days of paying the annual fee – I recommend downgrading within 30 days or so just in case). With the new Chase Rule in place, your strategy is going to change a little bit if you’re just starting out travel hacking and are looking to optimize your cards. Before this rule, you’d just grab both the Chase Sapphire Preferred and the Chase Sapphire Reserve. Obviously, you can’t do that now. If you’re ready to dive all in, then double dip both cards, as I laid it out above. Then hit the minimum spends on both cards and you’ll earn the bonus on both of them (50,000 points on each). If you’re not willing to go the double dip route, then you’ll need to pick one of the cards to earn the bonus on. Pick either the Chase Sapphire Preferred or the Chase Sapphire Reserve. For those of you who are planning to double dip the travel credit, the Reserve is the one to go for. If you’re not planning to double dip the travel credit, then go with the Preferred. If you’re new to travel hacking and want to take things easy, go with the Preferred. After that, snag yourself the Chase Ink Preferred (I’m planning to write more about this awesome card in a future post). It’s a business card, so you’ll technically need a business, but if you’re side hustling like I’ve been doing, you’ll have yourself a business, which then makes you eligible to get the card. Right now, the Chase Ink Preferred is offering an 80,000 point signup bonus, which is the highest Chase signup bonus out there. [Learn more about how Business Credit Cards work here]. From there, snag yourself the United MPE, the Chase Marriott, and the Southwest Plus and Premier card in any order you want until you’re over 5/24. If you’re going for the Southwest Companion Pass, you’ll want to start with the Southwest cards first. Once you’ve run through the Chase cards or are over 5/24, then jump to any other sweet credit card deals you see. So this is what you need to know right now about the new Chase one Sapphire Card per person rule. If you feel like supporting this site at all, feel free to sign up for any of the cards I mentioned above using the links in the post. You’ll still get the same signup bonus, but I’ll get a bonus as well that helps me keep the content flowing. Very interesting. This may not be apparent from the change, but do you know if this rule applies to authorized users? I have the Sapphire Preferred and Mr. AR is an authorized user. Do you know if he can open his own card and get the bonus in his name? Or does the authorized user aspect disqualify him? Yes – Mr. AR should still be able to get the sign up bonus for his Sapphire Preferred card. I think – and you’ll want to do some research on this – that if you take him off as an authorized user, he should be able to open up his own Sapphire Preferred or Reserve and get the signup bonus. If he’s an authorized user, I would think that it’s like he already has the preferred, and thus, can’t get the bonus. Better to not close them and instead downgrade them to a Chase Freedom and/or Chase Freedom Unlimited. Both are no-annual fee cards, and that way, you keep the credit history going for them. Always better to downgrade to a no annual fee card whenever possible. Remember though, if you’ve still got Chase Ultimate Rewards points that you haven’t used or transferred, you need to keep the Chase Sapphire Preferred, Reserve or Ink Preferred active. Otherwise, you lose the points that you didn’t use or transfer yet! You should definitely go for the Chase Ink Preferred if you can. 80k points is almost as good as the CSR 100k offer. This one just hasn’t been talked about as much because it’s a business card. Can’t you combine Chase Ultimate Rewards points from the CSP or CSR onto to a Chase Freedom card with no annual fee? I logged into my Chase account and this seems possible, but I didn’t pull the trigger. The problem if you do that is that if you store Chase Ultimate Rewards points on a “non-premium” card like the Freedom or Freedom Unlimited, you can’t transfer them to travel partners. You have to have “premium” card, like the CSP, CSR, or Ink Preferred in order to redeem for travel. Whoa thanks FP, that was not immediately clear inside the Chase interface! I don’t think that’s true. You can move the points from Chase Freedom to Sapphire Preferred. 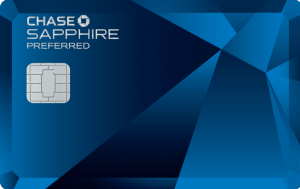 The Chase Sapphire Preferred (CSP) is a “premium” card – not in the same family as the Chase Freedom cards. This was from a long time ago, so not sure what I was discussing almost a year ago – but I obviously misspoke when I said “lose” the points. I just meant that you can’t use them for travel partners if you only have the CF or CFU. Thanks for pointing that out – it’s been a while since I’ve looked at the comments on this post, so good to point out. In short, if you want to use travel partners, you need a premium Chase card. If you don’t have a premium chase card, you can only redeem your UR points at 1 cent per point in the travel portal, which is not the best way to use the points. I got lucky and got the CSP (for 2nd time) one week before the new rule was announced. I’m interested in the InK preferred but am a little nervous to apply bc my side hustle income is not enough to be considered an actual business (my opinion). Are you able to combine all your side hustles in the application? If so what is the “Company Name”. You can definitely get the Ink Preferred (CIP, as the travel hacking folks call it). 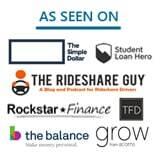 Any bit of side income you make is a business – you don’t have to be some huge company. My buddy got his CIP just by dog sitting a few times on Rover. He’d made less than 100 bucks at that point. You’ve got a blog – that’s a legit business, even if it’s not making a lot of money. So in conclusion, don’t be nervous. I guarantee you can get the Ink Preferred without any hassle. (and if you do go for the Ink Preferred and don’t already have a referral link to use, use mine! I’d super appreciate it!). Is the “double dip” method of signing up for both CSP and CSR on the day actually allowed by Chase? Or is this simply an unintended loophole? While it technically works, if you break the rules, Chase can technically strip you of your accumulated points. I would be worried about this. Has anyone actually asked a Chase representative of if doing the same-day signup is legitimate or not? Rule number 1 with any sort of credit card bonus thing – never ask the reps about it! It is legitimate though. There are tons of people who have done this on the Reddit churning subreddit. 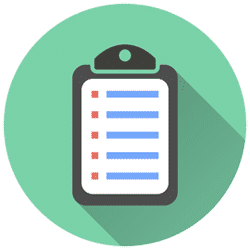 Check here for more info – this is the best source of credit card info out there. Also, as far as I’m aware, the signup bonus doesn’t say that you’re only allowed to earn a signup bonus on one Sapphire card. It’s just that the current system has it set up so that, if you have one Sapphire card, you aren’t able to get a second one. Any thoughts on whether a current CSP owner (over 24mo) can downgrade from CSP to retain their points, THEN sign up for the CSR to get the bonus out of it? Right now, you can’t get the CSR bonus unless its been 24 months since you got your last bonus from any Sapphire type card. So, if you have a CSP now, you’ll need to calculate when you got the bonus, then wait 24 months. At that point, you’ll be eligible to get the bonus again. You cannot double dip the $300 travel credit. Chase did away with that for anyone that applied for the CSR after May or June of 2017. The travel credit now follows your card anniversary and not the calendar year. I applied for my CSR in September 2017 and will not be eligible for the credit again until September 2018. Not true actually. Once you hit your 2nd year and pay your second annual fee, you can then use up the travel credit, then downgrade the card to a Chase Freedom or Chase Freedom Unlimited. Chase gives you 30 to 60 days to downgrade the card and get a full refund of your annual fee. You’ll still get to use the travel credit a second time, and you’ll be refunded your annual fee. (1) Year 1 = get the Sapphire Reserve, pay the annual fee, use the travel credit. (2) Year 2 = pay the annual fee in year 2. $300 travel credit resets. Use up all of the travel credit within 30 to 60 days. (3) Downgrade the card to a Chase Freedom or Chase Freedom Unlimited. Annual fee is refunded. Travel credit is used up. 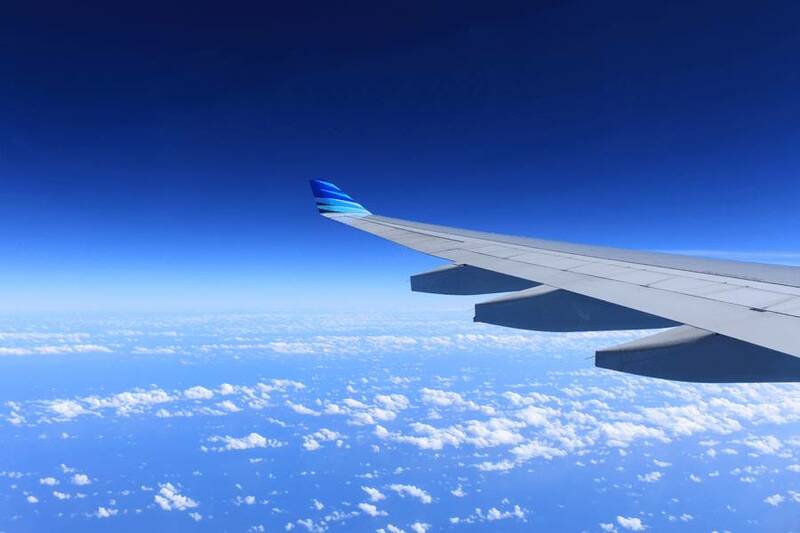 You’ve paid one annual fee of $450 and received $600 in travel credits. I already calculated that this is only worth it if less than ~25k is spent on travel/dining during 2 years, since the bonus from CSP would then be overshadowed by the extra points from having CSR all along. But are there any other considerations to this? CSR getting sunsetted notwithstanding? You won’t be able to do that because you can only earn the bonus on a CSP or CSR once every 24 months. So, if you get the CSP bonus in year 1, you can’t get a bonus from the CSP OR the CSR until 24 months from the date you earned the bonus. Basically, the only way to get both bonuses now is to open them both at the same time (i.e. double dip them). Does this double-dip process currently work? I’ve read a few other sites that said it no longer works. Has anyone done this recently? I only have one Chase card, and would love to get these two as well! The double dip is dead. Need to update this post. But check my recent post on what should be your first credit card if you need ideas about how to approach this now. OK…to confirm. I’ve got a 14 year old CS and a 12 year old CSP. I’m also well under the 5/24. Can I product switch these both to a Freedom and a Freedom Unlimited and then apply for the CSR AND qualify for the signup bonus? I really want the CSR, but the bonus is kind of a deal breaker. Hey Wayne, I think I need to update this post due to some recent changes. But in short, you should product change your CS and CSP to a Freedom and Freedom Unlimited (or maybe two Freedoms if you can take advantage of the rotating 5% categories – you’re allowed to have two freedoms). Once you’ve done that, you can apply for the CSR and you will qualify for the signup bonus. Hope that helps. I have the CSR. I am going into my third year. Would I be able to downgrade to a freedom card and then apply for the CSR again to get the bonus? The Sapphire cards recently changed the rules to 1 bonus every 48 months (used to be 24 months), so unfortunately, you won’t be able to earn the bonus for another year. Ok but I can downgrade and apply again for the CSR at some point. The only thing I have been reading is people downgrading from CSR to Freedom and then reapplying for the CSP. Yep, you can downgrade to the Freedom or Freedom Unlimited, then apply for the CSR or CSP and get the bonus again. You just need to wait 48 months from the date you last earned a bonus on a Saphire card.